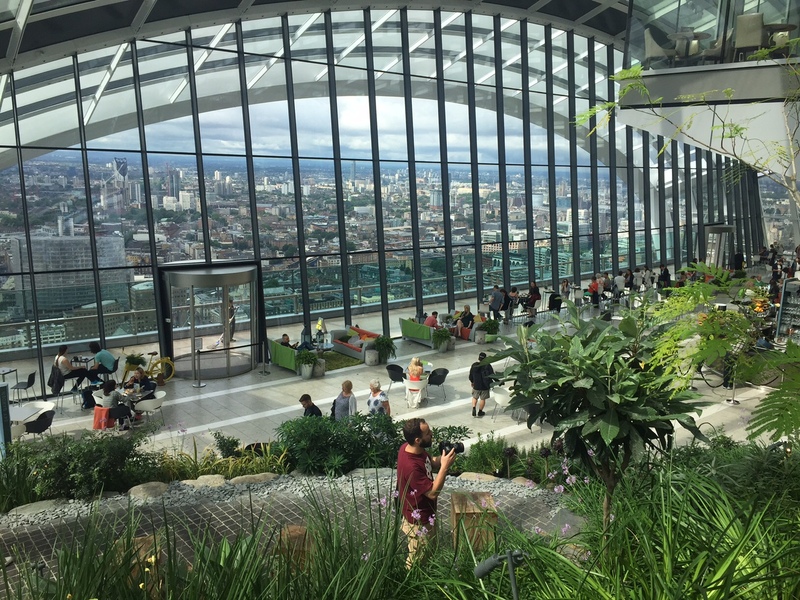 Last week I called in to see London’s newest and tallest ‘garden’, originally named; The Sky Garden in 20 Fenchurch Street (also nicknamed the Walkie Talkie). I first saw this building as a steel frame when the 2012 Olympics were in London. It’s a building which has been subject to much media attention after it melted part of a car on a sunny day during construction. This was due to the south-facing concave elevation which acted like a mirror and created beam of light which hit the ground and had been measured at 117°C on one occasion. 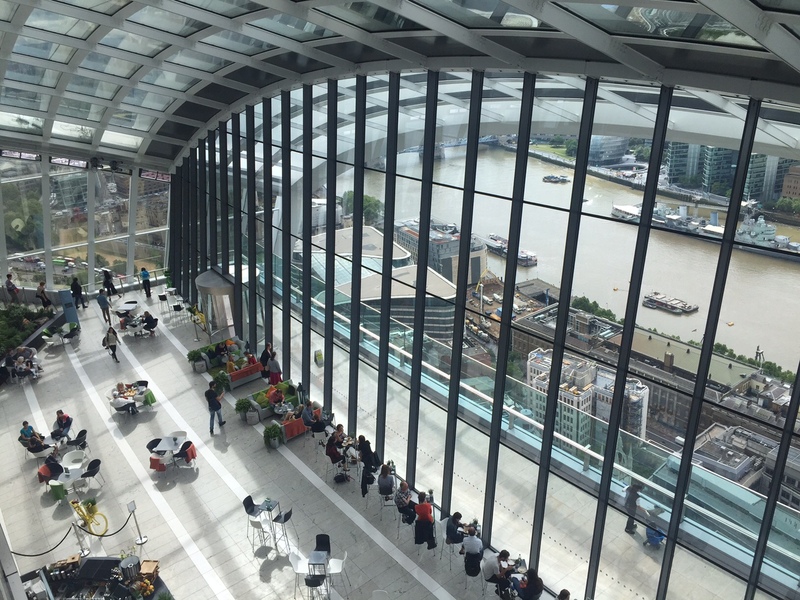 The building is a prime office block situated in the City of London. 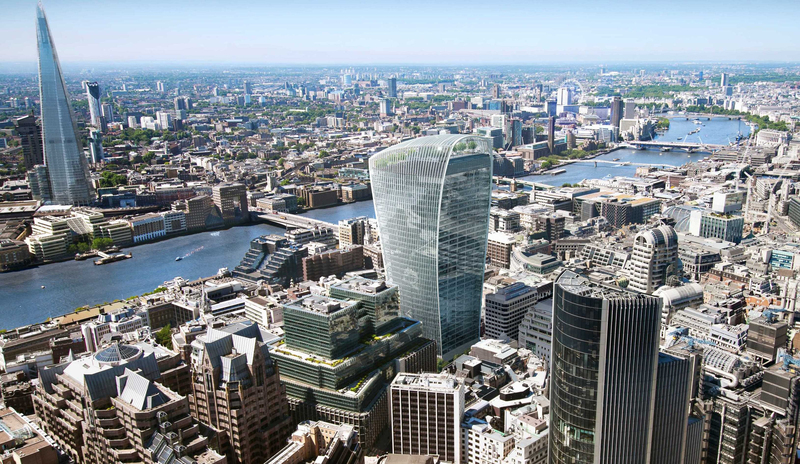 Other notable structures close-by are Tower 42, The Gherkin, The Leadenhall Building and The Shard. At 160m tall, 20 Fenchurch St currently the 5th tallest building in the City. It cost over £200m to build. 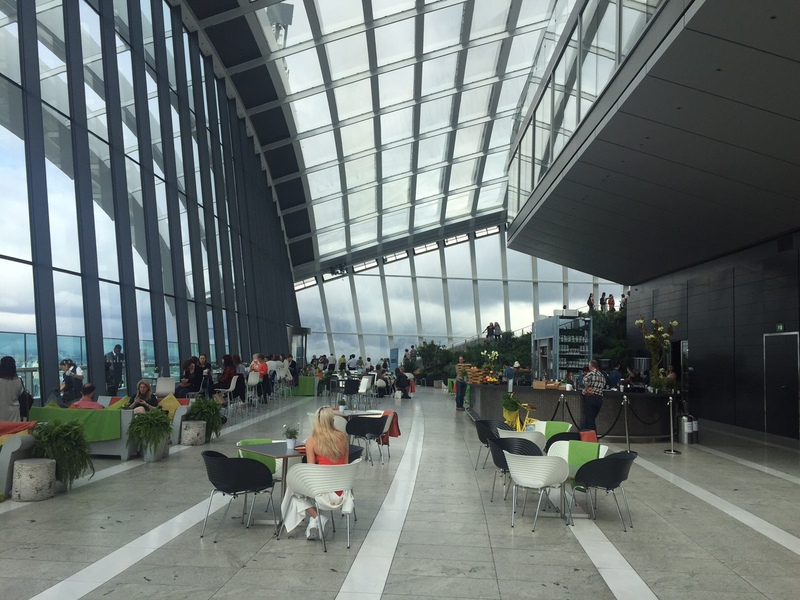 One of the buildings features, to service the main offices floors, is double-decker lifts! The building actually gets bigger (on plan) as it gets higher which is unusual, this reflects the premium rental values of high floor spaces. In this location and within a building of this quality/ prominence a tenant could expect to pay at least £100/Ft² for space here (including; rent, service charges and business rates). A single floor plate this building is around 20,000ft², so there are some big numbers here! This building is impressive. It’s curvaceous elevations and overall building form are rather unique. Attention to detail is evident everywhere. Whilst this, and others like it, are largely about their city scape profile and visibility, this development has an immense quality when you experience the building up close, both inside and out. 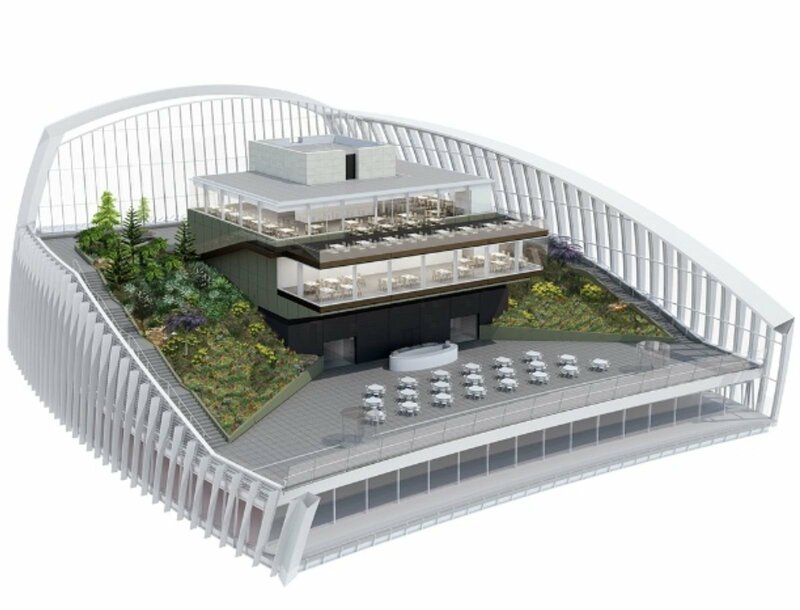 The ‘garden’ is in fact relatively limited as the majority of space is occupied by hard surfaced seating areas/ walkways, with two restaurants situated in the middle, in a building within a building. But the presence of plants/ tree does add a strong natural dimension to an otherwise man-made environment. Here’s a few photos from my visit. If you are in London I’d definitely recommend a visit.